Less than 5 servings/day of fruits and vegetables is associated with an increase in mortality rates. 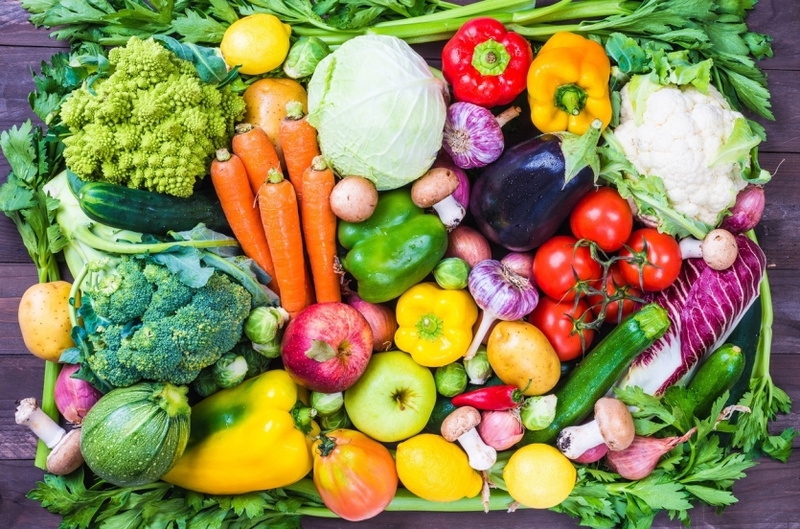 Many observational and epidemiological studies have shown a solid relationship between increased fruit and vegetable (FV) intake and better health outcomes. However, the association between FV intake and overall mortality has seldom been studied in large cohort studies. In a study published in the American Journal of Clinical Nutrition, researchers examined the dose-response relationship between dietary FV intake and mortality as it relates to both time and rate. The participants included 71,706 Swedish adults aged 45-83 years. Fruit and vegetable intake was recorded using self-administered surveys. During the 13 years of follow-up 11,439 deaths occurred in this population. Researchers found that in comparison to those that consumed 5 servings of FV/day, lower FV intakes were associated with shorter survival and higher mortality rates in a dose dependent manner. Compared to adults that ate 5 servings of FV/day, adults who never consumed FV lived 3 years shorter and had a 53% higher mortality rate. When fruits and vegetables were considered separately, people consuming at least 3 servings of vegetables per day lived 32 months longer than those who never consumed vegetables, and those who never ate fruit lived 19 months shorter than those that ate at least 1 serving of FV/day. The findings of this study confirm the previously known benefits of eating fruits and vegetables and show that consuming less than 5 servings/day is associated with a dose-dependent decrease in survival and an increase in mortality rates. Bellavia A, Larsson SC, Bottai M, Wolk A, Orsini N. Fruit and vegetable consumption and all-cause mortality: a dose-response analysis. Am J Clin Nutr. 2013;98(2):454-9.